There are a lot of smart investors on Wall Street. It makes sense to watch and learn, and sometimes follow along for the ride. However, even smart investors make mistakes. So you need to step back and look at the risks and rewards when examining the trades they make. With that in mind, here are two stocks that look worthwhile and one that you might want to pass on (despite the big name that's backing it): Adobe Inc. (NASDAQ:ADBE), Franco-Nevada Corporation (NYSE:FNV), and CVS Health Corporation (NYSE:CVS). These days, however, the company is firing on all cylinders. The digital media division is the de facto system for use by designers, photographers, and animators. And the recent splash into e-commerce -- via the acquisitions of Marketo and Magento -- offer an interesting growth avenue in the years ahead. 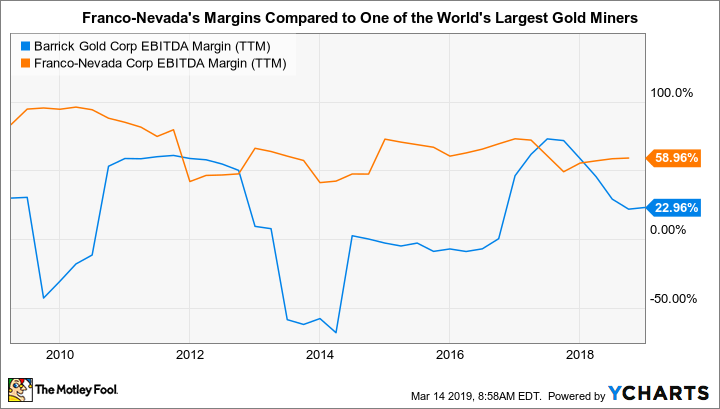 One of the big reasons to consider Franco-Nevada today is the stock market's high valuation in the face of ongoing headwinds, notably including slowing economic growth in key global markets. If investors start to panic, sending equity prices sharply lower, there will likely be a flight to safe haven investments like precious metals. Over 80% of Franco-Nevada's business is tied to commodities like gold and silver. GOLD EBITDA Margin (TTM) data by YCharts. Check out the latest earnings call transcripts for Adobe, CVS Health, and other companies we cover.